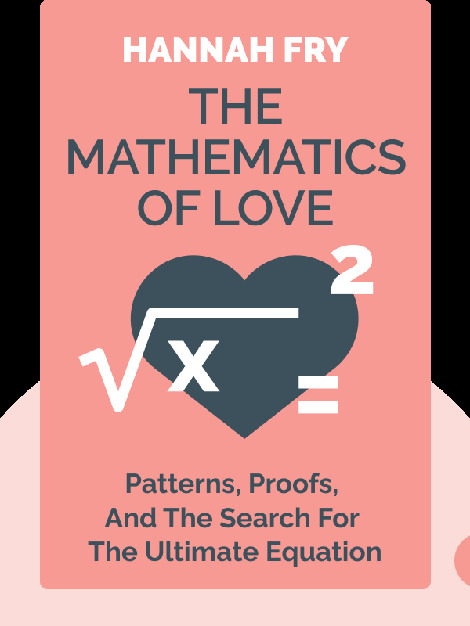 Love is full of patterns – from the number of sexual partners we have to the way we select potential mates from dating websites. 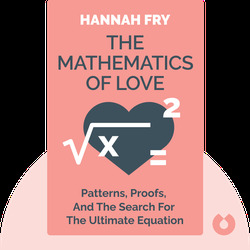 In The Mathematics of Love (2015), Hannah Fry sheds some light on these patterns and teaches you how to calculate your chances of finding The One, make a mathematical argument to justify approaching someone in a bar, and to use a mathematical trick to plan your wedding. Dr. Hannah Fry is a mathematics lecturer at University College London’s Centre for Advanced Spatial Analysis. She specializes in using mathematical models to study patterns in human behavior, from riots to shopping. Fry appears regularly on TV and radio in the United Kingdom.